In a great measure, this work explained and taught Freemasonry to Masons around the world. So popular was Preston’s Illustrations of Masonry (originally published in 1772) that the author saw it published in twelve editions during his lifetime, as well as being translated into several languages. This is one of the true Masonic bestselling classics. This photographic reproduction of the 1867 edition contains valuable additions by noted Masonic author George Oliver. 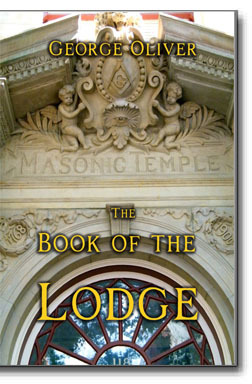 George Oliver’s The Book of the Lodge is classic Masonic instruction for Lodge operation and understanding the workings of the Lodge. Includes a general explanation of Masonry and initiation, the Lodge building, words and names used in Masonry; Lodge furniture; ceremonies; Tracing Boards and much more. Photographic reproduction of the 1849 edition of this work. The Mystic Tie – Why do we hear so many stories of Freemasons helping, taking care of and supporting their fellow Masons even, at times, at the risk of their own personal safety? Simply promising to do so may account for once or twice, but there must be something more to explain so many acts of Masons risking it all to help other Masons. 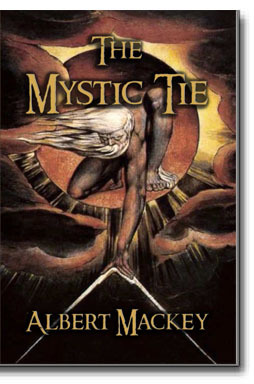 Albert Mackey presents us with a collection of amazing, inspiring and surprising stories of Masons acting to help other Masons and displaying that mystic tie that binds us all. Photographic reproduction of the 1867 edition. 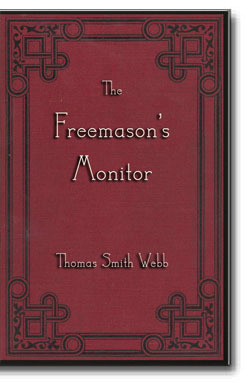 Thomas Smith Webb’s The Freemason’s Monitor is the grand-daddy of all U.S. Masonic monitors. This very important work includes the “Ancient Charges”; an examination of the craft degrees and lectures; funeral, installation of officers and other lodge ceremonies; a study of all York Rite bodies up to the Knights Templar, a general Masonic history section and much more. This is a fascinating and important work for all Masons. Photographic and restored reproduction of the rare 1818 edition of this work. The Constitutions of the Free-Masons Containing the History, Charges, Regulations, etc., of that Most Ancient and Right Worshipful Fraternity. 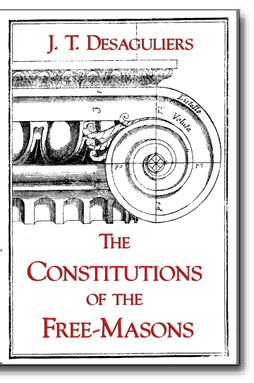 Photographic reproduction of the 1866 edition of the 1723 Constitutions. Valuable part of any Masonic education.